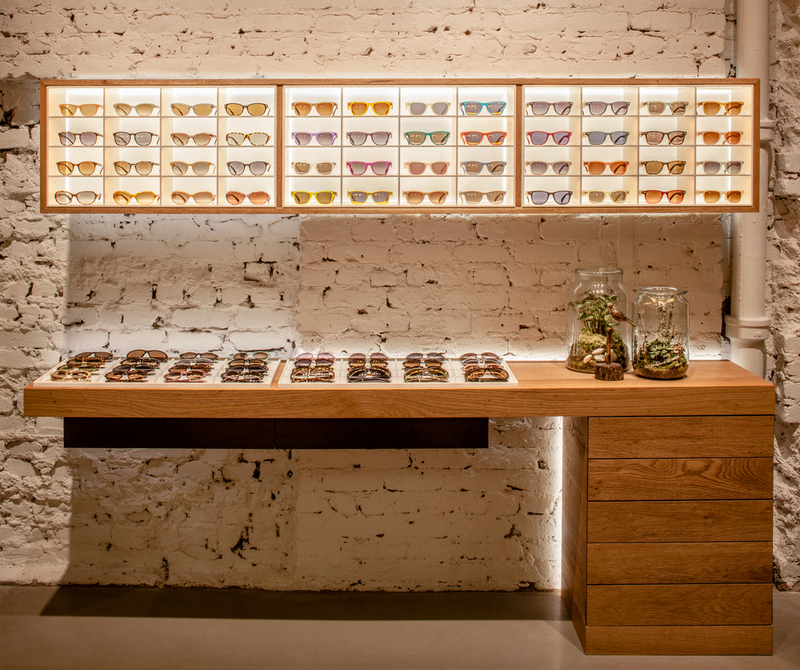 Located at 151 Powell Street in Union Square, the J!NS flagship store offers more than 4,900 sf of shopping space and hold one of the most expansive selections of eyeglasses in the city. Eyeglasses are small, delicate objects that might get lost in a large space, but we made sure they are irresistible to touch and try on, by organizing them in a system of simple, well lit, repetitive grids. This simplicity and accessibility have deep roots in the J!NS brand, and are qualities that recur throughout our store design. Our J!NS Flagship Store won 1st Place in Retail Design Institute’s Hard-Line Specialty Category for Excellence in Store Design! This award was presented at Retail Design Institute’s 45th Annual International Store Design Competition.